and honors for its people, business, products, and technologies. NextLabs customer, Rockwell Collins, wins Manufacturing Leadership 100 award for deploying the NextLabs Information Risk Management solution. Frost and Sullivan announces Rockwell Collins as the leader in process control and yield management solutions in the category Enterprise Technology Leadership, for helping to shape the future of global manufacturing by adopting automated information risk management technology. NextLabs customer, KLA-Tencor, wins 2013 CIO 100 Award. 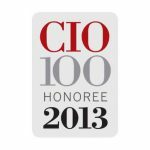 IDG’s CIO magazine announces KLA-Tencor as a recipient of the 2013 CIO 100. The 26th annual award program recognizes organizations around the world that exemplify the highest level of operational and strategic excellence in Information Technology (IT). KLA-Tencor is recognized for deploying an innovative knowledge collaboration solution by leveraging information risk management solutions from NextLabs in order to protect intellectual property and enable knowledge sharing for their field maintenance operations. NextLabs customer, KLA-Tencor, wins Manufacturing Leadership 100 award for deploying NextLabs Information Risk Management solution. Frost and Sullivan announces KLA-Tencor, the leader in process control and yield management solutions for the semiconductor and related nano-electronics industries, as a winner of the 2013 Manufacturing Leadership Award. KLA-Tencor is recognized for deploying an innovative knowledge collaboration solution by leveraging information risk management solutions from NextLabs in order to protect intellectual property and enable knowledge sharing for their field maintenance operations. NextLabs customer, BAE Systems, wins 2012 CIO 100 Award. 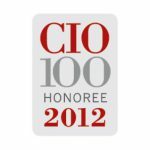 IDG’s CIO magazine announces BAE Systems, Inc. as a recipient of the 2012 CIO 100. The 25th annual award program recognizes organizations around the world that exemplify the highest level of operational and strategic excellence in Information Technology (IT). BAE Systems is recognized for its innovative use of NextLab’s information risk management technology to improve governance and compliance for corporate intellectual property protection mandates and export regulations, while enabling employees to safely collaborate on a global basis. 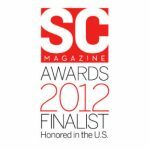 NextLabs Data Protection has been named a finalist in the Best Data Leakage Prevention category by the 2012 SC Magazine Awards. NextLabs Data Protection is the first to offer a single integrated solution that combines enterprise digital rights management with data protection capability across Windows, Mac and Linux platforms. NextLabs Data Protection is recognized as a top product in the Reader Trust Award competition, which honors best-in-class security products and services by SC Magazine’s esteemed reader base. NextLabs has been recognized by Computerworld as a 2011 Honors Laureate. The annual award program, founded in 1988, honors visionary organizations and individuals of information technology that promote positive social, economic, and educational change to make the world a better place. NextLabs has been recognized by as one of only six vendors in their annual “Cool Vendors in Identity and Access Management, 2010” report.